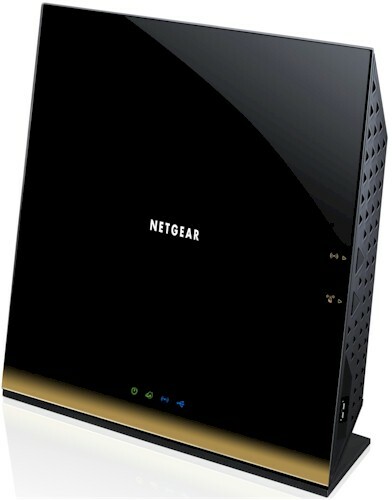 This is our fourth NETGEAR R6300 router review. The First Look and full review, published in June of 2012, was for the original 802.11ac Draft 2.0 product. The R6300 was retested in May 2013 with a new test method when a firmware upgrade added beamforming support to the router. Which brings us to the R6300 v2. As you've probably guessed, the "v2" has upgraded hardware. The product was also tested with the latest wireless testing method (Revision 8) introduced at the end of July 2014. The features and the user interface remain unchanged for the v2, so you can continue to refer to the original review for that information. The v2 uses a completely redesigned board, which is evident from the board photos below. The image above is the front of the original R6300, the one below is the v2. Similarly, the rear of the PCB has changed as well. While there are still six antennas (three for each band), you'll note that the antennas are located in different locations in the v2 layout. The biggest difference in the v2 hardware is the upgrade of the main CPU from a Broadcom BCM4706 to a Broadcom BCM4708. The BCM4708 has the Gigabit Ethernet switch built in, so there's no need for an external Ethernet controller. Another major difference is that the v2 has 256 MB of RAM compared to the original 128 MB. Finally, the R6300V2 picks up the USB 3.0 port that's built into the BCM4708. The radios and amplifiers appear to be the same for both models. Both 2.4 and 5 GHz amplifiers have been changed. The table below summarizes the major components in both versions.